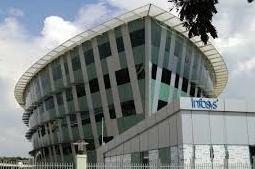 Global software major Infosys Ltd. Monday announced acquisition of the US-based automation technology firm Panaya for $200 million (Rs.1,245 crore) for large-scale enterprise software management. “The acquisition reflects our execution of renew and new strategy to enhance competitiveness and productivity of service lines by leveraging automation, innovation and artificial intelligence,” the company said in a statement here. Panaya’s CloudQuality product will enable Infosys to use automation to its service lines via agile software as a service (SaaS) model and help mitigate risk, reduce costs and shorten time to market for clients. “Panaya’s acquisition is a key step to renew and differentiate our service lines. This will help amplify the potential of our people, freeing us from the drudgery of many repetitive tasks, so we may focus more on the strategic challenges faced by our clients,” Infosys chief executive officer Vishal Sikka said on the occasion.